Muhammad holds a PhD in Environmental Science and currently works as Assistant Professor at the University of Agriculture, Faisalabad in Pakistan. With his research, he aims to promote sustainable forestry management in his home country. In his studies, he investigates the environmental services of trees, such as climate change mitigation through carbon sequestration by integrated land use and the impact of mechanized operations in forests. In 2012 Muhammad received the Green Talents Award. The jury recognized his work promoting sustainable forestry management in Pakistan. Since then he published 18 research and review articles in prestigious journals. He also presented his studies in more than 14 international and national conferences and seminars; continued his research and supervised Master and PhD students in his scientific field. Muhammad Farrakh Nawaz is a champion of Pakistan's forests, promoting sustainable forestry management in his home country and tapping the power of forests to mitigate some of today's biggest man-made environmental threats. Muhammad Farrakh Nawaz has always been drawn to forests for their aesthetic beauty, recreational and inspirational value. An environmental scientist, he also knows the value of the ecosystem services they provide: air and water quality management, erosion control, climate regulation, carbon sequestration and the recycling of nutrients and wastes, to name a few. Today Assistant Professor in the Department of Forestry, Range Management and Wildlife at the University of Agriculture Faisalabad, Nawaz is a champion of Pakistan's forests, investigating the impact of human economic activity on forest ecosystems and ways to ensure forest health into the future. One example of this is his current work monitoring the performance of trees in degraded and compacted soils. Nawaz also sees forests as a huge resource for mitigating some of today's biggest man-made environmental threats. “We have observed a big problem of heavy metal accumulation in the soil here in Faisalabad, one of the country's most industrialized cities,” reports Nawaz. “I am investigating the phyto-remediation potential of native trees species for treating soils contaminated with these metals.” Nawaz is also researching the carbon sequestration potential of Pakistan's agro-forests – work that could very well have an impact beyond his country's borders. 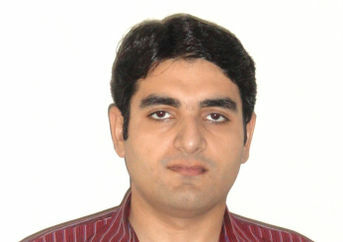 The jury recognized Nawaz's work promoting sustainable forestry management in Pakistan and was keen to support his further research into forestry related remediation and climate change mitigation techniques.